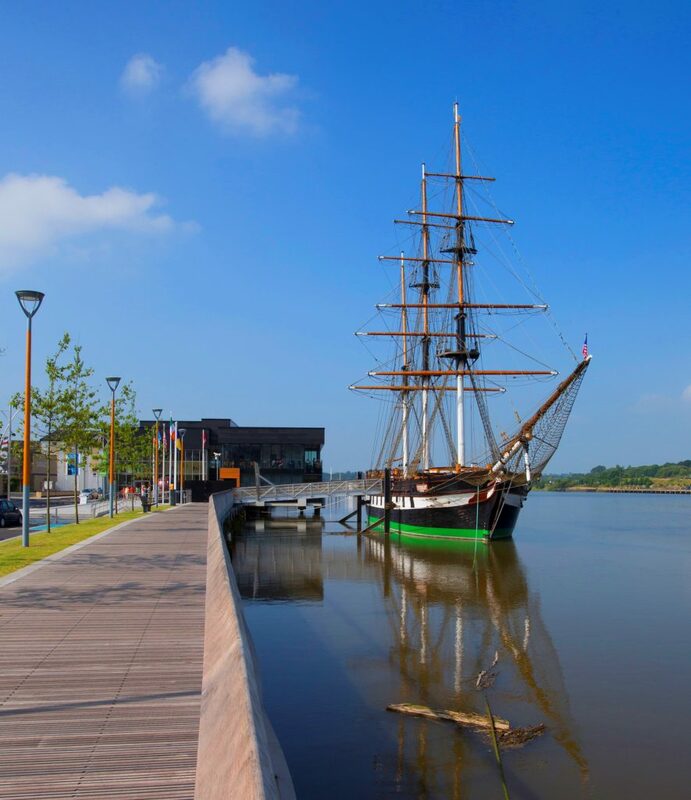 The Dunbrody Famine Ship Experience is a spectacular feature of the New Ross quayside. 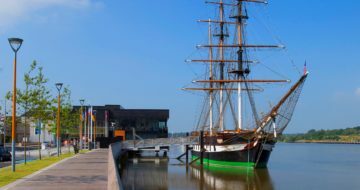 There are some tourist attractions that cant be missed and The Dunbrody Famine Ship Experience In New Ross, Co. Wexford is one of them. 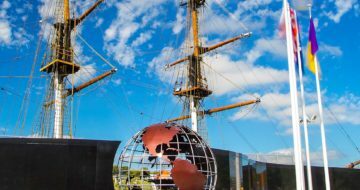 The Dunbrody Famine Ship & Irish Emigrant Experience visitor centre is the perfect stop on any tour of the south-east of Ireland. 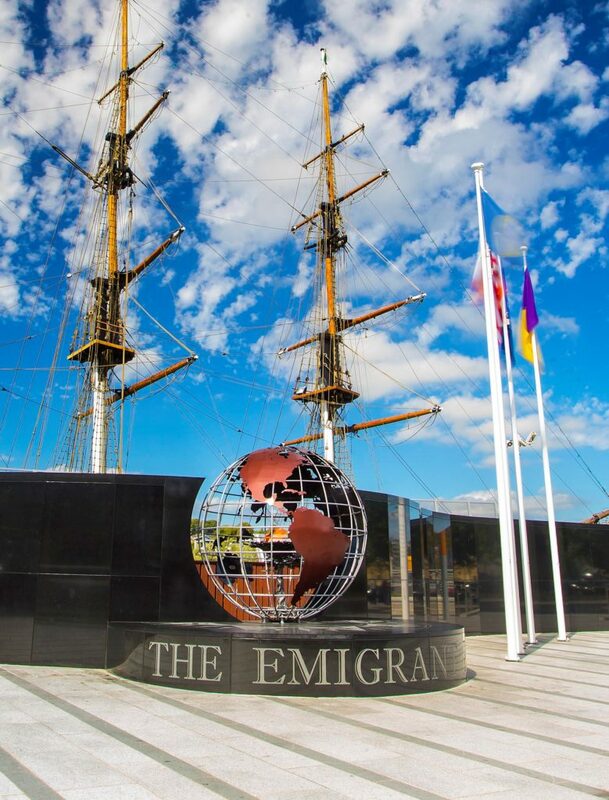 This ship is an authentic reproduction of an 1840’s emigrant vessel, it provides a world class interpretation of the famine emigrant experience. Moored on the bank of the River Barrow this award winning and world unique tourist attraction allows visitors to take a trip with a difference by travelling in time. From the moment of departing on a tour the visitor is transported back to the 1840s and given a personal sense of the sadness and excitement felt by the famine emigrants setting sail for a new life and leaving behind poverty and despair. 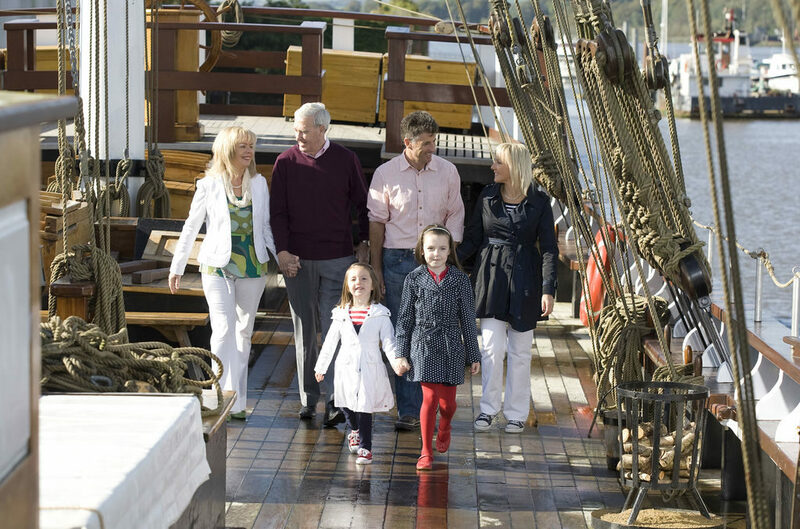 Explore the spectacular Dunbrody Famine Ship above and below deck, step back in time as costumed performers set the scene for a journey that transformed the lives of thousands and be immersed in the sights and sounds of a real life famine ship. As well as the ship’s tour, the Dunbrody Visitor Centre houses a charming river-view restaurant and the Irish America Hall of Fame. The Hall of Fame commemorates the critical contribution made by Irish men and women to U.S history, as well as acknowledging the continuing contribution of contemporary Irish Americans. 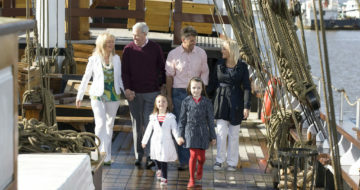 The guided tour of the ship features costumed preformers and themed exhibitions of the highest quality and provides a unique insight into the bravery and fortitude with which Irish people faced up to a desperate situation. Stroll along the newly developed quayside festuring public art and sculptures, incorpoating The John F. Kennedy memorial wall and statue and the spectacular Emigrant Flame, which was lit from JFK’S grave at Arlington National Cemetary. The Dunbrody Famine Ship is just a 25 minute drive from Waterford City and is less than 45 minutes from Kilkenny City.